BLACK ON BLACK CLOSE TO FLAWLESS 1969 SS CHEVELLE WITH A 396/375hp ENGINE AND A 4-SPEED. THIS CAR IS A PRECIOUS METAL JEWEL! This amazing SS Chevelle car won Best in Class at Atlanta Super Chevy Nationals in 95. The car has been driven less than 700 miles since. Stored in heated warehouse under cover. You have to see the laser straight body on this beautiful black car. 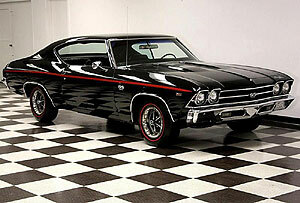 This amazing car is a TRUE 396-375 HP SS Chevelle. THE UNDERCARRIAGE IS BEAUTIFUL FROM BUMPER TO BUMPER. 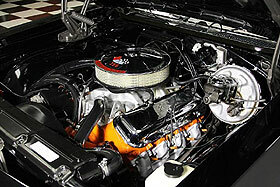 The heads, camshaft, pistons, and crankshaft are all correct, factory replaced block date coded 1970. The car is like new of the factory floor. The car has beautiful black interior with a 4- Speed and bench seat, with correct 396/375hp tach, correct carb, and fuel pump (one line), entire factory exhaust system including manifolds, factory mufflers and tailpipes. The paint and interior are almost flawless on the car. The car has a AM/FM Yellow Dot Factory Stereo, with rear speaker which is very rare. 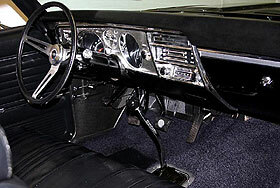 The car comes nicely optioned with Power Steering and Power Brakes. It's currently rolling on correct SS rims and nice redline tires. CALL FOR DETAILS!!!!! American Dream Machines is located in the center of the Heartland in Des Moines Iowa. We are one of the largest full service classic car dealerships in the Midwest. We specialize in American Muscle cars with integrity.